What’s In A (Changed For Localization) Name? Of all the decisions that game developers and publishers make, none baffles me more than changing names for change’s own sake during localization. Altering a creator’s work requires justification: the name “Tina” in Final Fantasy VI was intended to sound foreign and mysterious to Japanese audiences but wouldn’t have that effect in North America, so it was changed to “Terra.” People can debate the legitimacy of the reasoning behind that change and explain why they don’t believe it was necessary, especially with the benefit of hindsight; they might say that names like Mario, Luigi, Link, and Cloud are universal, that the name “Cid” is a constant in the Final Fantasy series, or that Tales games regularly use names like Natalia, Chester, Lloyd, and Rita for both English and Japanese with few fan complaints. What no one can argue is the fact that reasoning for the name Terra existed. Thought went into it and so I don’t dispute her name change. On the far opposite end is the inconsistency of Pokémon naming. 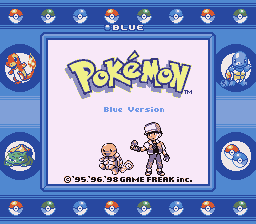 For the most part, the series localizes names so that whether English-speaking players are six or sixty, they know that a Bulbasaur is a dinosaur with a bulb. However, the name Pikachu carried over along with other names and portmanteaus like Jirachi, Rayquaza, Lucario, and Pachirisu. The question is why they didn’t change and the answer is—a mystery. Just as much of a mystery is why Japanese names that would already make sense to English speakers sometimes get changed. Above are a chinchilla Pokémon and its evolution, known as Chillarmy and Chillaccino in the Japanese games, but as Minccino and Cinccino in the English games. The question isn’t whether the changed names are good or bad, but why the changed names are. If anything, “Chillarmy” is likely more easy to pronounce for nine-year-old native English speakers than “Minccino”. 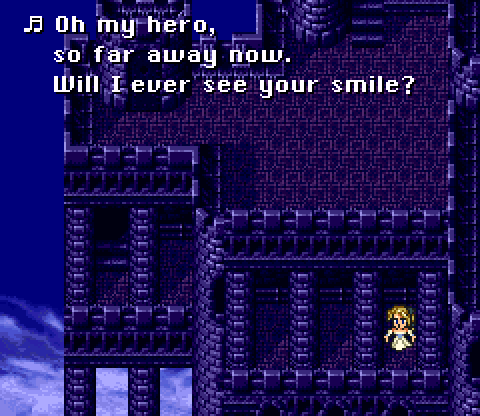 The Final Fantasy VI opera scene: my proof positive that nostalgia has little hold over me. I only needed one look at the GBA version to throw the above lyrics out of my heart. “Because we can” is a poor argument to change lines—after all, you “can” also not change them—but I’m not a purist. I have my preferences only independently of faithfulness to the original. I don’t know or care which version of Dragon Quest IV is closer to the original, but I do know that I prefer the NES localization over the DS re-localization. I also know that, with only a couple of exceptions, I prefer the SNES localization of Final Fantasy VI over the GBA re-localization that Square-Enix certainly stated was more faithful. Above all, I believe one thing about localizations: that they should see their ideas through. I may not like the all-over-the-map accents of Dragon Quest IV, but I admire that the team had a vision and ran with it to the greatest extent. Even though I didn’t like it once, that same willingness to change things worked wonders for me with Dragon Quest IX‘s alliteration-rich translation. If Cherry Tree High Comedy Club went all the way to whitewash every Japan-related reference out of the dialogue, I wouldn’t have liked that decision but I could at least say that it wasn’t a house divided. If only legendary Pokémon kept Japanese names and the names of ordinary Pokémon always changed, there would be a certain clarity to the series’ naming conventions. Just as every spell or special move should be created with a purpose, every word in a game script should be put in with a purpose—and that holds true whether the word is being written on a blank sheet or translated from another language. This entry was posted in Editorials and tagged Dragon Quest, Final Fantasy, Pokémon, RPGs on May 29, 2012 by JellyPaladin. 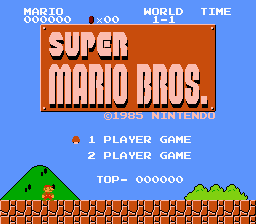 If Castlevania, Super Mario Bros., and Pokémon never existed, could they be invented from scratch today? Game development is, for both better and worse, not what it used to be; the monetary costs and time costs to create Grand Theft Auto IV are lightyears apart from Street Fighter II. When games are Hollywood-level productions with Hollywood-level expenses, one misstep can sink a company—and so, to the best of each company’s abilities, with every statistic available to them, their number crunchers need to determine a priori whether their games will sell based on the history of their series and comparable series. In the modern world, big game developers craft their games from market statistics. Some gamers love it (“give me bigger and better”) and others hate it (“give me something original”), but either way, developers do that because, in a real and literal way, they can’t afford otherwise. Market statistics can’t breed innovation, however; no one can create the future by replicating the past. When the game industry was still young, companies needed to pioneer new ideas because they had no comfort zone of existing trends and bandwagons to follow. 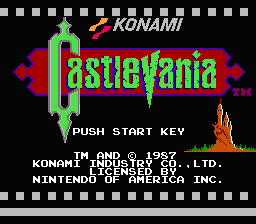 Konami could not have created Castlevania in this millennium. My pitch as the creator: Simon Belmont, a descendant of vampire hunters, battles Dracula and the undead with the Vampire Killer, a holy whip passed down over countless generations. My response as the publisher: a guy fights Dracula with a whip? Nobody buys into characters with whips unless they’re Indiana Jones. Give this Belmont guy knives like in Blade or guns like Resident Evil and House of the Dead. Make him more generic because then he’ll be a safer bet. The scary side of appeasing market trends. 6-3-2012 update: would you believe that I wrote all of the above without even remembering that Konami rebooted Castlevania? 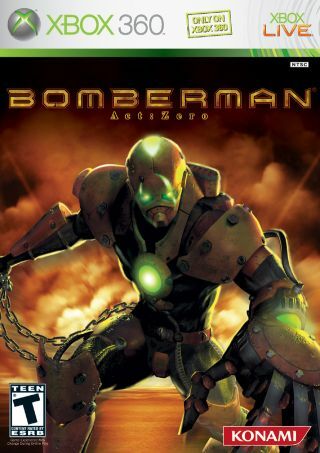 I only had their ill-fated Bomberman Act Zero in mind as a point of comparison. What does all of this have to do with indie gaming, anyway? You'll have to click to find out! This entry was posted in Editorials, Indie Development, Indie Gaming and tagged Castlevania, Mario, Pokémon on May 19, 2012 by JellyPaladin. Fill in the blanks: to learn how to make great _____, you should study great _____. Books. Movies. Food. Music. Buildings. Businesses. Art. Products. Games. Somehow this simple universal truth escaped me a while back when I went on a kick of gobbling up books on game design. After reading them, I can say in honesty that no matter how well-written, how witty, how creative, or how otherwise excellent the books were, the only thing they helped me to understand was that I already knew far more than I believed or than I was even prepared to believe. Books about game design can help a certain audience, I’m sure, but that audience is not gamers who have played so much that they could put together a list of their top five hundred—not any more than a book about chess tips would help someone who’s already sunk two thousand hours into playing it. Diehard gamers know what works and what doesn’t through the experience of having played it all, and experience far trumps book knowledge. The mission of the diehard-gamer-turned-game-creator is to use the design techniques they’ve enjoyed and avoid the ones they’ve disliked. Of course, they still need to make their own games with their own vision. The idea is to draw on the internal logic of game design techniques, not the external trappings of setting—but that’s another blog post for another day. This entry was posted in Game Design on May 13, 2012 by JellyPaladin. People insist that video games are or are not art based on the way they experience them. Those who call games art can approach them as art: they play for visuals, music, and atmosphere. Those who don’t call games art might distantly recognize that they contain art, but it’s negligible to their experience; they play for challenge, improvement, and self-expression. These types of gamers share in common that they play to experience emotions, but differ on which emotions: awe or satisfaction. To put this another way: building a house requires thought, planning, and engineering; clear choice goes into the materials and colors of its walls, roof, and floor to achieve a specific look and feel. To the architect, a house may be art. To the home owner, a house is shelter, safety, and storage space. Another comparison: a TV viewer might admire an Olympic ice skater’s performance as art, but the ice skater herself, in real time, fixates on execution. Until she’s completed each spin, jump, and twirl, it’s unlikely that she’ll view her own moves as art; she doesn’t have the time or concentration to spare for that. Not every game has the difficulty level of Olympic ice skating, of course, but gamers who don’t play for art and encounter an easy game can still take on the challenge of besting their own past selves. First-time Super Metroid players might be playing art. Super Metroid speedrunners aren’t. If anyone asks me whether games are art, I answer that it doesn’t matter. Games are what gamers experience—and those experiences come in all flavors. This entry was posted in Philosophical, Quick Posts, Video Game Art and tagged Metroid on May 2, 2012 by JellyPaladin.